We hate to break it to you, but summer is quickly becoming a distant memory. But it’s not all doom and gloom—autumn can be cool too, y’know?! To help us embrace those firey-coloured leaves and dark evenings, we called on the little pigs team at Squealing Pig to discover how to #gettogether with friends over autumn. They’ll be helping us make 2018 the best year yet with their seasonal Auckland guides. And trust us: they know a thing or two about good wine and good times—the ultimate combo! Here’s how to make the most of autumn in Auckland. Remember when you said 2018 was your year to hit the gym and get fit? Well, that hasn’t entirely happened, right? Fear not, the year is still young and autumn boasts the perfect event to kick-start your training. Sign up for Round the Bays—aka New Zealand’s largest fun run and walk. The course itself is 8.4km long, making it the perfect balance of achievability and challenge (who knew these things could be balanced?!). Enter as an individual or get together with your squad and run (or walk) along the waterfront to St Heliers Bay. You’ve so got this. Get your Instagram at the ready... the dazzling Lantern Festival is back! 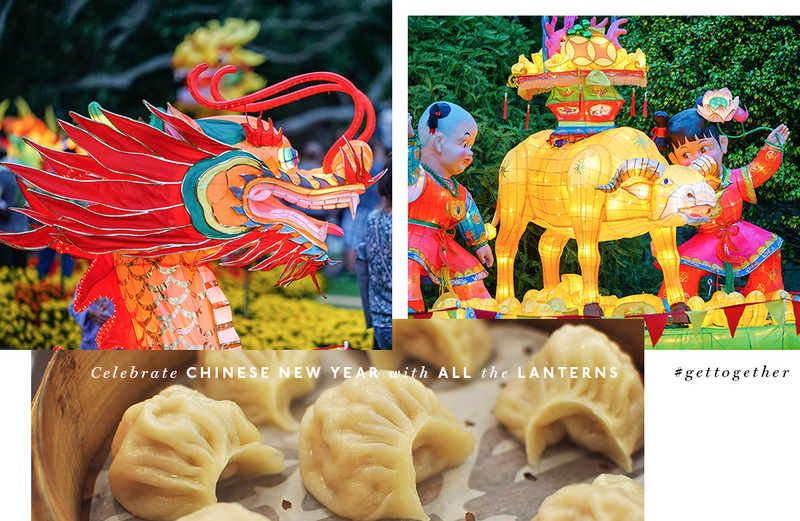 Head to the Auckland Domain between March 1 and 4 to celebrate Chinese New Year in style. Welcoming in the Year of the Dog (totally our fave year), the festival showcases handmade lanterns, performances, workshops and—the best bit—scrumptious street food. Arrive hungry and devour authentic Chinese cuisine including slurplicious noodles and moreish dumplings. Pro tip: time your visit with the spectacular fireworks finale. Is there anything more autumn than falling leaves? Nope, probably not. Embrace the season with open arms and stomp your way through crunchy golden leaves. 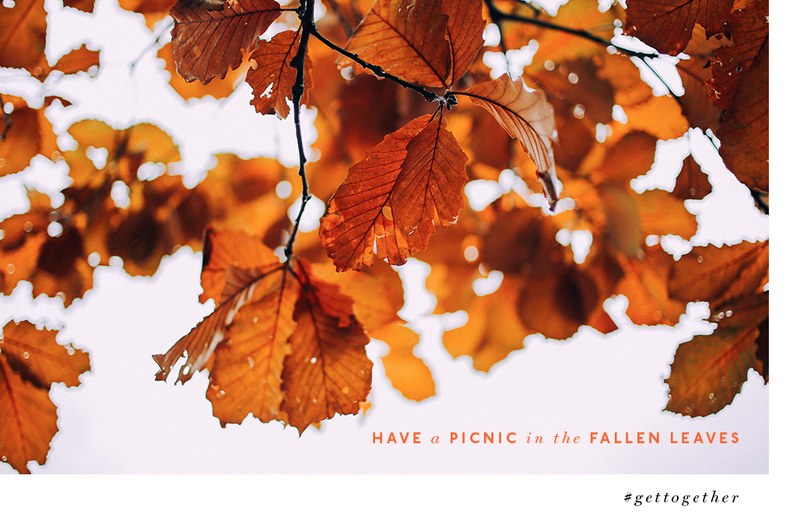 Your days of being outside are numbered (winter, we’re looking at you), so pack a picnic and savour the sunshine while you can. Cornwall Park and the neighbouring One Tree Hill Domain are a great place to start—it’s the largest parkland area in Auckland Central and brimming with auburn trees. Round up your nearest and dearest and ensure your picnic hamper is well equipped. Think: freshly baked bread, cheeses (ideally you want one soft, one blue and one hard), cured meat, relishes and a bottle of Squealing Pig vino. If the weather doesn’t allow for a picnic, head to one of Auckland’s boutique cinemas instead. Steer clear of mall cinemas and opt for a cinema with personality and class. Capitol Cinema oozes art deco vibes, while Lido Cinema has a lavish waiting lounge. If you reeeally want to escape the world, go underground (literally) at Academy Cinemas—it’s nestled beneath the inner-city library. Make sure your autumn movie hit-list includes Jennifer Lawrence’s Red Sparrow and the star-studded A Wrinkle In Time. Popcorn mandatory, obvs. Nothing brings people together more than a good ol’ chuckle. Autumn is jam-packed with lol-worthy moments thanks to the return of the New Zealand International Comedy Festival. Running from April 26 to May 20, the festival features a hilarious line-up of both local and international comedy acts. The highly anticipated programme will be released on March 1—watch this space, Urban Listers. In the meantime, nab tickets to the Billy T Jam on March 2. As a warm-up to the comedy season, the show features the hottest up-and-coming Kiwi comedians. We don’t want to jinx the forecast but its your last chance to soak up sun before winter. 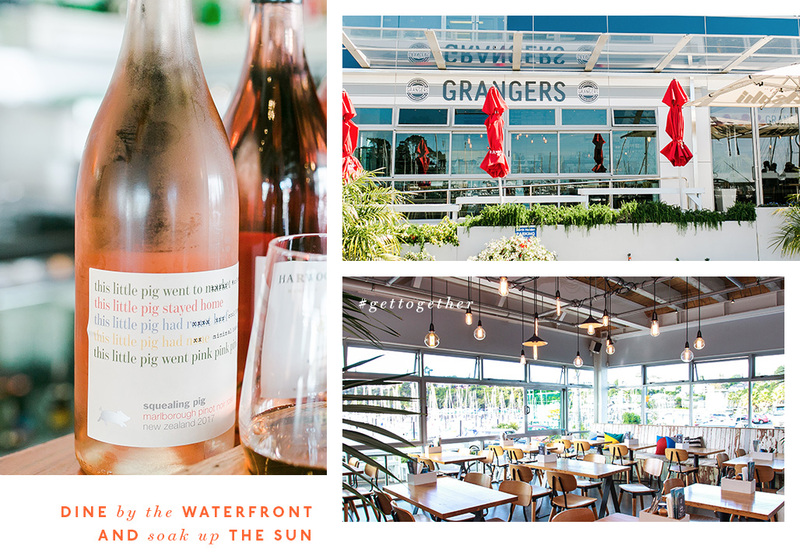 To make the most of things, pair that sweet, sweet sunshine with mouthwatering eats and a glass (or two) of summery rosé. Overlooking the Half Moon Marina and accessible by ferry, Grangers is the perfect pozzy for doing exactly that. The bustling eatery has a strong focus on seafood with fish and chips (of course), a mega seafood platter and Waiheke oysters hand-delivered daily by the ferry’s crew. Pretend like it’s summer and order their avo and roasted beet salad alongside Squealing Pig’s Pinor Noir Rosé. It’s a match made in heaven! Prepare for winter hibernation by perfecting your blanket fort building skills. Our advice? The more blankets, the better. The more fairy lights, the better. Make it a cute date night for two by grabbing takeaways or get pizza delivered—calories don’t count when blanket forts are involved. Open a bottle of Squealing Pig wine and you’ll literally be two pigs in a blanket (that’s totally Insta-worthy). Catch up on all your fave shows including The Handmaid’s Tale, Stranger Things (how have you not watched season two yet?!) and The End Of The F***ing World. Maybe the cooler weather won’t be so bad after all! Pair your autumn adventures with Squealing Pig’s divine wine—just look for the super cute labels! Editor’s note: This article is proudly sponsored by Squealing Pig and endorsed by The Urban List. Thank you for supporting the sponsors who make The Urban List possible. Click here for more information on our editorial policy. Image credit: Lydia Arnold and Kellie Blizard. Video credit: Jamie McKenzie from Prue Productions. Models dressed by Witchery and Cotton On.